There are so many exciting daily and weekly programs to choose from! Come each Friday night for a fabulous and delectable Dinner in the Mansion. Master conversational Hebrew in just 4 weeks. Come together each Sunday for two fun hours of 4 consecutive weeks to learn how to speak Hebrew! Begins October 11th. By the end of the 4 week course you will have mastered conversational Hebrew! Register now! Meet Powerful CEO’S. Enjoy Great Camaraderie. Earn $300 stipend! Dinner Each night. Receive a Certificate Upon Completion! Get Incredible Internships!! Begins October 13th (EVERY Tuesday NIGHT 8:30-10PM). LIMITED SPACE AVAILABLE! REGISTER NOW!! Join young professional and collegiate for a spectacular Holiday experience. 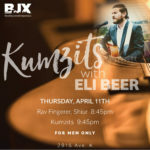 Whether it’s Hanukah, Purim, Passover, Sukkot or the High Holidays you will enjoy a friendly chilled out atmosphere, lots of positive energy and awesome food. The most awesome New Year’s Dinner is by registration only and in a private venue. BJX doesn’t charge any membership and complimentary seating is available for our High Holiday explanatory service. The High Holiday prayers include beautiful melodies and insights, leaving you enriched and uplifted, ready to start off the new Jewish year in a most meaningful way. No prior knowledge is required—we’ll provide you with a Hebrew/English prayer book and keep a running commentary so you can keep up. Join us for Yom Kippur September 22nd 2015 and September 23rd 2015 for inspiring prayer services. We are pleased to invite you to celebrate the Passover Seder April 22 2016 in a warm and festive atmosphere. Relive the exodus, discuss Passover’s relevance today and celebrate the freedom of Passover in the same way our ancestors have over the last 3,322 years. Both our Passover Seders are easy to follow and interactive. They are integrated with Jewish tales, mystical insights and Jewish songs. Enjoy fine wines, full dinner and hand-made Matzah. 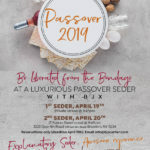 Celebrate the Holiday of Freedom at a Seder experience you will remember for a lifetime!